The International Space Station is a one-of-a-kind platform for microgravity research and is uniting space, science, and industry in new discoveries, technology advancements, and commercialization. Discover untapped opportunities for advancing life on earth at the International Space Station Research and Development Conference. The 2018 ISS Research and Development conference welcome featured remarks from NASA Administrator Jim Bridenstine. The International Space Station is not only a valuable research platform, but also provides companies an opportunity to validate business models in low Earth orbit and enhance products for use on Earth. CNNMoney’s Jackie Wattles moderates a panel of researchers and companies to discuss: Why the space station? Why microgravity? Why are companies investing in research and development opportunities onboard the orbiting laboratory? How can companies join in? And how does the space station provide a pioneering research facility that enhances both innovation and branding alike? In an engaging discussion, transformative leaders explore the future of medical research in space, including medical results from research on the ISS, promising medical research areas, and emerging technologies. 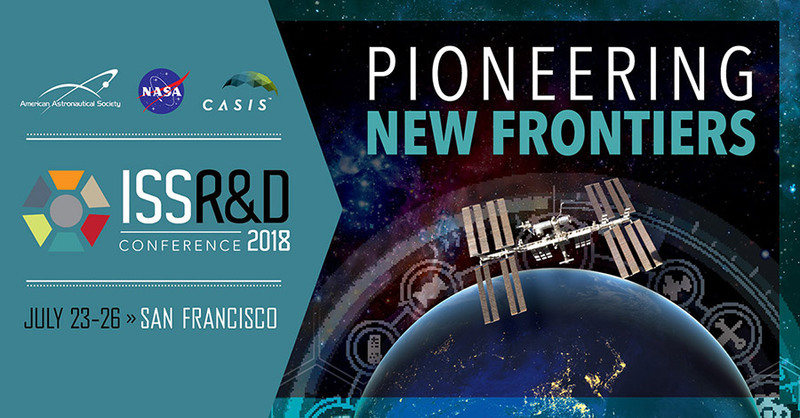 This session features presentations and an open discussion with in-orbit commercial facility providers who are supporting the growing demand for space-based R&D through the development of new capabilities onboard the ISS and are serving as leaders in economic development in LEO. Todd M. Moore, IBM vice president of open technology, leads the IBM global team working to develop open communities that fuel both innovation and new business models. Being engaged in a range of communities and technologies, he has the pulse of where open innovation is happening. Grady Booch is chief scientist for software engineering at IBM Research and leads research and development for embodied cognition. He is best known for his work in advancing the fields of software engineering and software architecture. Investment in commercial space companies is growing rapidly, with more than 100 investment firms devoting nearly $4 billion to the field in 2017. With representation from industry-leading funds, this panel is designed to stimulate discussion about the investments fueling the growth of new space businesses both large and small. You’ll gain insight into what’s driving space investment and potential areas of opportunity. Join The Verge’s Loren Grush, as she moderates a session of leaders from Silicon Valley-based companies who have leveraged the space station to enhance their product, branding, or technologies. These panelists will also explore potential opportunities for the future and how others can leverage the orbiting outpost to push the boundaries of research and development. 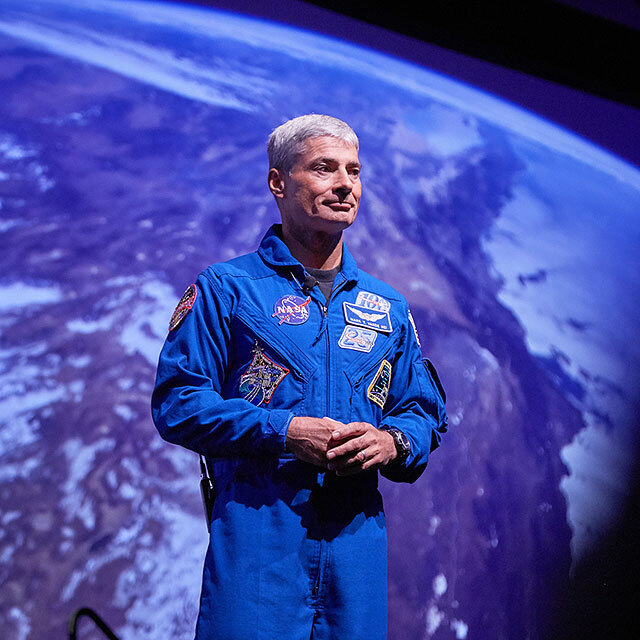 Col. Mark Vande Hei recently returned to Earth after logging 168 days as a flight engineer onboard the International Space Station. During the mission (Expedition 53/54), the crew marked the beginning of the first long-term increase in crew size on the U.S. segment of the space station. This increase enabled NASA to double the time dedicated to research and achieve a record-setting week of research that surpassed 100 hours. The crew members worked on investigations focused on manufacturing fiber optic filaments in microgravity, improving the accuracy of an implantable glucose biosensor, and measuring the sun’s energy output to Earth. A panel of space experts discuss economic and political forces affecting low Earth orbit (LEO) demand, the need for platform providers to work closely with LEO services users to create a vibrant multi-user LEO economy and government’s role in this effort, and regulatory and economic incentive changes that should be addressed. Government agencies will introduce approaches to ISS Transition and low Earth orbit (LEO) commercialization, highlighting utilization activities designed to build sustainable demand for LEO services. Speakers will discuss activities and plans for operations, research, and development in LEO, including capabilities the ISS currently provides, as well as plans for developing a commercial space industry and commercial space marketplace. They discuss how they envision the LEO landscape of the 2020s and beyond and key issues that must be considered when contemplating a transition from the ISS to other platforms. The U.S. space community is evolving,with the emergence of new capabilities, new private and public players,and new concepts of operations for conducting research in space. Meanwhile, the U.S. is amplifying private-sector engagement on the ISS National Lab and future platforms in low Earth orbit, allowing NASA to shift its emphasis toward deep space. U.S. space policy is experiencing an evolution of its own, with the re-establishment of a National Space Council and the reassignment of monitoring and regulation of commercial space activities to the Department of Commerce. This panel will describe these emerging policy activities and open the floor to discussion for an active audience that might serve to inform policy for the future of U.S. civil space. In January 2018, NASA and 13 other space agencies released the third revision to the Global Exploration Roadmap. In the new roadmap, the International Space Exploration Coordination Group establishes an expectation of and dependency upon private-sector contributions to human spaceflight in coming decades. The roadmap notes the significant capability the ISS provides as a testbed for flight systems and operations critical to future space exploration initiatives. In this panel, the new roadmap and opportunities for industry engagement will be discussed from the perspectives of ISS partners industry representatives who have flown or are developing technology payloads for the ISS and beyond. Panelists also will discuss their visions for translating space station research and development toward deep space missions. Not only is the ISS National Lab a valuable research platform steadily contributing to scientific understanding, it is also a unique asset that enables investment in our nation’s future. Although space has always inspired student interest in science, technology, engineering, and mathematics (STEM), the ISS is an incredible platform to facilitate student scientific inquiry and experimentation, providing students with an authentic connection to space. Hear students describe some of the exciting STEM education programs that are leveraging access to the space station to engage student communities across the country. Randy “Komrade” Bresnik has amassed more than 149 days in space. Most recently, he returned in December 2017 from a long-duration mission onboard the International Space Station, in which he served as Flight Engineer for Expedition 52 and Commander for Expedition 53. Selected as a NASA astronaut in 2004, Bresnik’s first spaceflight was on space shuttle mission STS-129. His work in extreme environments has also included research conducted as a Cave-a-naut with the European Space Agency to test living and working deep beneath the Earth’s surface. Hehasalso served as an Aquanaut on Aquarius for NASA’s Extreme Environment Mission Operation 19. Aquarius is an underwater research laboratory where aquanauts live and work for up to three weeks at a time in preparation for future space exploration. Genes in Space named a team of Minnesota high school students the winners of this year’s contest. David Li, 17, from Woodbury High School, Michelle Sung, 16, Aarthi Vijayakumar, 16, and Rebecca Li, 16, of Mounds View High School proposed an experiment to study how cells repair their DNA in space. Their winning experiment will be performed by astronauts aboard the International Space Station next year. This is the first time the judges selected a team experiment as the winner of the Genes in Space contest. Presentation of the 2018 ISSRDC awards given to pioneering researchers who are pushing the boundaries of space-based research on the ISS in two different categories – Compelling Results and Innovation.